I know I'm a little late on this, but I wanted you to get a look at some pretty sweet Converse. 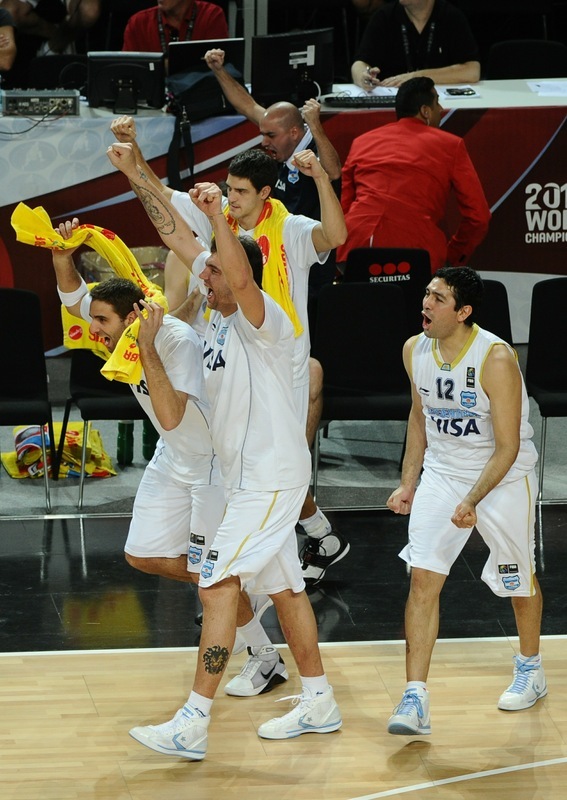 Argentina was the most Converse filled team in the FIBA world basketball tournament with 4 players wearing the Chevron and Star. Two of those players sported Argentina colorways of the Star Player EVO. I previously showed you another colorway, but today's post features the White/Carolina Blue colorway. As you can see the flag of Argentina can be seen on the tongue of the Star Player EVOs, which is a nice little touch.